The Great Financial Crisis has exposed a deep chasm in economics and economic policy. No single institution is this crystallized more than at the Bank of Japan. The former Governor, Shirakawa brought policy rates to nearly zero to combat deflation. His successor, Kuroda, took the central bank in the completely other direction. He has introduced three elements of unconventional policy in an institution that was wedded to orthodoxy. These include an aggressive expansion of the central bank's balance sheet through asset purchases. The assets being purchased are of greater risk than what other central banks bought, (including equities and REITs). Most recently the central bank introduced a negative deposit rate on what appears to be a modest amount of reserves (<20%). The contrast between Shirakawa and Kuroda is great and has proved frustrating for the bureaucrats and technocrats that play such an important role in the central bank. The Japanese are well aware that the root of Shirakawa means white, and the root of Kuroda means black. The same drama is being played out in Europe. Philosophically, the Bundesbank is not far from Shirakawa's position, while the majority of the ECB is more similar to Kuroda. Even though Draghi quickly reversed the two rate hikes introduced by his predecessor, the contrast with Trichet was not as great as seen in Japan. Trichet did initiate a sovereign bond buying program, liberalized collateral rules, oversaw ECB loans to Greece. In many ways, the divide is a recapitulation of the debate between Hayek and Keynes. Shirakawa and German ordoliberalism does not seem far from Hayek's position. The active monetarism of Kuroda is consistent with Keynesian thought and is cut of the same cloth as Draghi's suit. 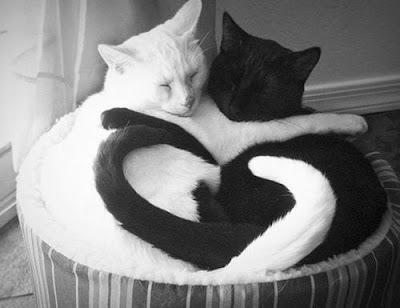 The great Chinese pragmatist Deng Xiaoping famously noted that it does not matter if the cat is black or white as long as it catches mice. Therein lies the rub for Japan. Neither the white cat nor the black cat has caught mice. Neither Shirakawa's monetary restraint nor Kuroda's aggressive activism has succeeded in defeating deflation, putting the economy on more solid footing, or providing incentives for the government reduce the mountain of sovereign debt, which is now surpassing 225% of GDP. One cannot help but wonder if the Bundesbank President Weber had replaced Trichet rather than Draghi, would inflation be closer to the ECB's target. Would unemployment be lower? Would the northern creditor nations be more willing to recycle their surplus by buying the bonds of the southern debtor countries? Most would likely answer these questions in the negative. Nevertheless, whatever approach a central bank takes, it can be criticized for failing to deliver the goods. Shirakawa was criticized, and Abe may not be able to find a more un-Shirakawa successor than Kuroda. Although Kuroda has not produced better results, the Bank of Japan's balance sheet, at nearly 80% of GDP is more than three-times larger than the Federal Reserve or ECB's balance sheets. Moreover, it is not simply the size of the balance sheet, but its composition contains considerable riskier assets than the Fed or ECB. The BOJ, for example, buys ETFs and REITs. A defeatism hangs over Tokyo thick like the smog that hugs Beijing. If the white cat does not catch mice and the black cat does not catch mice, what can be done? For those committed to catching mice, there is only one alternative: Get a different mouse trap. The biggest obstacle to doing just that is in the minds of Japanese officials. That is to say ideological constraint, defeatism, and egos are the main obstacles that stand in the way of a rejuvenated Japan. Japan has a proud history, a great diversified economy that is the third largest in the world; its population is highly educated and skilled. Japan is among the largest international creditors. What would a different mouse trap look like? We can sketch out three new arrows for Abe. First, the BOJ ought to re-examine how it is measuring the economy and the picture it offers policymakers, investors, and citizens. Consider CPI itself. The current target rate excludes fresh food. No other country does that. Why not do what the US and the ECB do and measure the core rate by excluding food and energy. In addition, due to demographic and structural factors, rents in Japan have for several years drifted consistently lower. Owing to Japan's circumstances, it arguably makes sense to exclude rents from a measure that is to inform policy. Such a calculation would produce a core CPI measure of about 1.5%. This is still not the 2% target, but it is a couple of tenths of a point lower than the US and close enough to the target to argue against large risk-taking experiments like continued rapid growth of the BOJ's balance sheet and negative interest rates. The BOJ may be reluctant to do this because it would be seen as self-serving and a threat to its credibility. However, there is a compelling economic argument, and its credibility is undermined by consistently pushing out in time when its target will be achieved. There is an interest precedent for something similar. When Reagan became the President, the US reported the merchandise trade balance, which was always in deficit, and then later and separately, it would report the service trade balance, which was always in surplus. Reagan's innovation was to report them together. Given the growing service trade, a combined report was more economically accurate. It made for good politics too because the protectionism that often lurks just below the surface in the US was on display. Japan has a shrinking population. A few other countries in Europe also have shrinking populations. In the years ahead more will. Assuming all else being equal, a falling population means less output. Economists agree GDP is a flawed number, and the argument here is not to come up with a replacement, rather what investors and citizens are ultimately interested in is GDP per capita. Some Japanese officials recognize this. However, recognizing it is not good enough. Japan should report GDP per capita alongside GDP. China has begun reporting its trade figures in yuan as well as the dollars, and will show its reserves in SDR terms. In per capita terms, Japan is doing better than most high income countries. The government needs to show this in their public service campaigns. Kuroda is worried about the deflation psychology. Overcoming may not necessarily require buying all the new JGBs. A narrative that challenges the defeatist psychology. The second new arrow is for Abe to return to that which worked before in Japan. Unlike the US and much of Europe, in the 1960s and 1970s, MITI made certain political-economic decision to pick and support selected industries, like steel, autos, and televisions and radios. Given the current situation in Japan, three such industries stand out in which Japan can secure the commanding heights: robotics, recycling, and geriatrics. Japan is already the leads in use and development of robots. What would help focus the minds, imaginations, skills of Japanese people is if there were some bigger goal, like the US-Soviet race to the moon? Imagine self-replicating robots, like a 3-D printer than can print other 3-D printers. Japan has limited natural resources. However, in the future, it may be more cost efficient (especially if the externalities of mining are fully taken into account) to get raw materials from already produced goods. Consider that some cars have 30-40 pounds of rare earths. A ton of cell phones have more gold than a ton of gold ore. Essentially, this apply the experience and success of the mini-mills in taking market shares from the vertically integrated steel combines to a larger scale. Japan can lead in recycling, creating new products from recycled materials, and making new products that have greater ability to be recycled. Third, Japan is simply on the leading edge of demographic changes that will be experienced by other countries in the coming years. Japan can chose to develop an absolute advantage in issues of an aging population. These can include, medicines and medical care, leisure-time activities (and consumption) and integration into society, even if not part of the market economy. The first new arrow is for Japan to adopt metrics that make better sense of what it is experiencing. Adopting new metrics requires public education. The second arrow is to return to a key part of Japan's earlier economic success Identify a few sectors that can draw on Japan's human, capital, and knowledge resources. Ideally, the sectors would be appear to be broad and linked to trends, like demographics, which do not change quickly. Support those sectors formally and informally. The third arrow is facilitate a new alignment in Japanese society. On one hand, a major failing of Abenomics is the lack of meaningful wage growth, despite full employment record corporate profitability. On the other hand, Japan is still to hike the retail sales tax, and corporate taxes are being cut. Abenomics has it exactly backward. The third arrow is about facilitating consumption not restraining it. Abe cannot address deficit and debt issues with a regressive tax on households. Surely the recent experience bears out the adage that you can't get blood from a turnip. Abe should change tactic, and learn from Willie Sutton, who said he robbed banks because that is where the money was. Japanese corporations are sitting with record cash levels. Retained earnings over some average is hoarding and should be frowned upon by the government. The BOJ set up its negative interest rate policy so that it would be adjusted if banks began hoarding cash. Maybe the MOF can take a page from the BOJ's playbook. Ideally, Japanese business would use the retained earnings to ensure they can retain a loyal workforce, through higher wages, or new investment. However, more likely they would increase dividends and share buybacks. There are other policies that can help keep that in check too, if necessary. The tax code shapes the capital structure of business. In the US, for example, the tax code favors debt over equity. Another initiative that could help boost consumption and inflation is to draw on its huge reserve stockpile. Japan, with a growing current account surplus, does not need over a trillion dollars in reserves. What is the purpose of reserves? They are to be used in a dire situation. Japan could use a quarter of its reserves to finance domestic demand. The technocrat pushback is that unlike the US, for example, that owns its little more than $60 bln of reserve outright, Japan's reserves, like China's have been purchased through government obligations. That means that to draw down the reserves would be to leave an unfunded liability. It would simply increase Japan's debt by that amount. However, it could reduce the deficit if the it is successful and sparks a multiplier effect from increased economic activity that boosts the government's revenues. We began by recognizing that Japan has tried austerity of Shirakawa's white cat. And it has tried Kuroda's aggressive black cat, with no better luck. Yet the battle continues to be waged by the partisans, pushing for this cat or that. Investors want Abe to come up with a better mouse trap. It requires a combination of drawing on what has worked for Japan in the past, as well adopting its metrics and understanding of the contours of the economy and society in the present, while identifying future growth areas. There have been several times that Abe has made bold moves; calculated initiatives that paid off. Japan and the Prime Minister are at a fork in the road. One way leads to more of the same. Some fiscal stimulus and maybe some more QQE. The other way leads to Abe offering a new narrative, a clear vision of Japan in the 21st century and new bold initiatives. Staying on a course that does not appear to be working loses confidence. That is guaranteed. Replacing the black and white cats with a new mouse trap might actually boost confidence that this time the mouse will be caught.